Max is driven by a desire to help clients safeguard their valuable innovations, brands and other assets to spur growth and ensure a solid foundation for success. 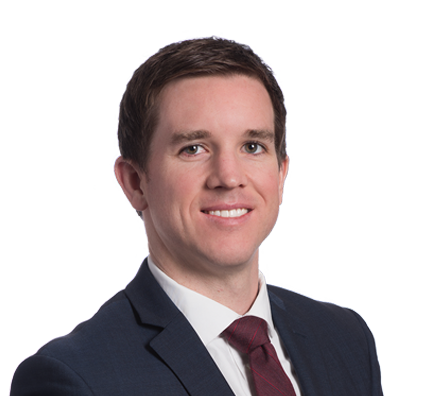 In advising clients on intellectual property matters, Max draws on his background in architectural engineering to understand the complexities of new products, technologies and systems. He counsels clients on patents, trademarks, copyrights and trade secrets. He also regularly drafts and negotiates technology-related agreements, including software development and technology licensing contracts. As a registered patent attorney, Max has extensive experience analyzing new inventions, preparing and prosecuting patent applications, conducting patentability and freedom to operate searches and analyzing patent infringement and validity issues. Prior to joining Husch Blackwell, Max served as a judicial extern for The Hon. Michael Malone, Douglas County District Court. A former college baseball player, Max enjoys sports, including tennis and softball, the outdoors and cooking. Max works with entrepreneurial clinics at the University of Missouri and University of Missouri-Kansas City. It’s rewarding for him to help young businesses with intellectual property and patents that encourage their growth.